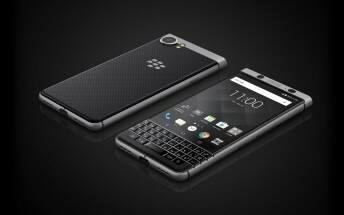 Blackberry Mercury DTEK70 has been officially renamed to Blackberry KeyOne. Judging from the specifications below, Blackberry KeyOne has a 4.5inches screen size with Corning Gorilla Glass 4 protection, 4G LTE enabled, runs on Android 7.0 Nougat, packs a 3GB RAM and 32GB inbuilt memory. Have a look at the full specifications below. Price 600 EUR, $634 in USD, INR 42,230, CNY 4,355, KES 65,700. Blackberry KeyOne released date. Blackberry KeyOne specifications. Blackberry KeyOne price in India, China, Kenya, Nigeria.